Let’s meet K’naan (pronounced Kay-Nahn), a Somali-Canadian musician, whose song “Wavin’ Flag” was heard by many of us a couple of years back. 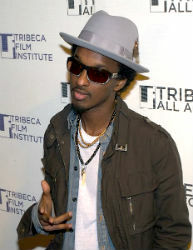 K’naan was born in Mogadishu, Somalia in 1978. His family had strong ties to music. His aunt was a famous Somali singer and his grandfather was a poet. When K’naan was a young boy, fighting had broken out in Somalia between the different clans. His family was able to move out of the country to Toronto, Canada when he was 13 years old. He loved music and spent a lot of time rapping and creating rhymes. In 1999, K’naan got an opportunity to perform at a United Nation’s concert. This led to other opportunities and he became an established singer. He worked with the company Coca Cola to create a song for the 2010 FIFA World Cup Soccer which made him famous around the globe. You can hear the song here.